In today's security conscious environments, especially in finance, government and healthcare industries, there are often strict policy requirements or government regulations to keep data secure at all times to protect against theft even during drive replacement or routine hardware maintenance. With Tintri SecureVM, you now have the power to encrypt data at rest in real time, conforming to highest security standards in order to satisfy your policy and regulatory requirements. SecureVM is available as optional software for the Tintri VMstore T800 and T600 series. Data is encrypted inline using AES-256 bit algorithms without any impact on performance or capacity. SecureVM works in conjunction with the self-encrypting SSDs and HDDs on Tintri VMstore T800 and T600 series storage and interoperates with other optional Tintri software such as ReplicateVM. Administrators can use the inbuilt key rotation mechanism to manage their keys. You get the highest level of security with AES-256 bit encryption standard. 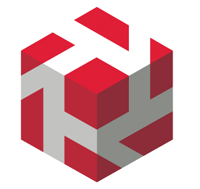 Download the Tintri SecureVM Datasheet (PDF).